Internet Marketing is a very popular and lucrative niche. Although very competitive, if you can keep up with the competition you can make a huge income in the IM niche. You can use these quality Internet Marketing articles pack #2 on your own blog or website to add content or promote one of the many make money products available. These articles range between 300 and 600 words each. 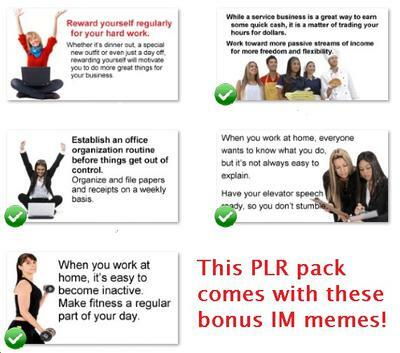 You also get a bonus set of IM tips memes to turn viral!